In this post, I have presented seven interesting players from the Nigeria Professional Football League and the Nigeria National League. Ibrahim Abdullahi, a 17-year old attacking midfielder, comfortable in various attacking roles, is one of the top talents at ABS FC, a team well-known for promoting youngsters. Since joining ABS FC from the prestigous Kwara Football Academy, Abdullahi has been a first team regular, often making substitute appearances, turning games around with running and dribbling. At the time of writing, Abdullahi has scored two goals during the Nigeria Professional Football League 2013. Watch out for Lukman Abegunrin, an exciting youngster at second level side Crown FC. Abegunrin has been described as a skilful player with dribbling skills, pace and creativity. 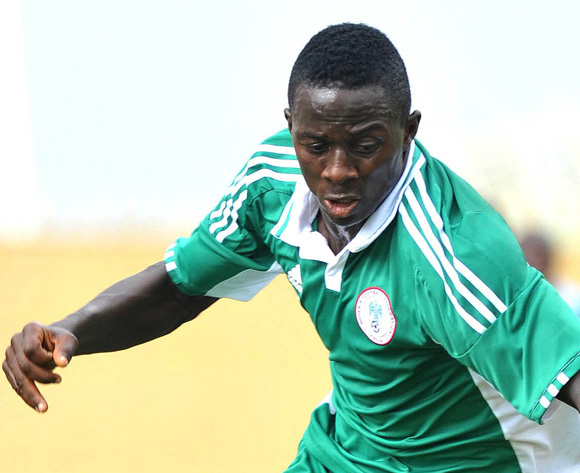 At the time of writing, Abegunrin has scored three goals during the Nigeria National League 2012-2013. Victor Adama is one of the most interesting goalkeepers in the Nigeria National League. After impressing for modest side Apa United FC, Adama joined the ambitious COD United FC where he is first-choice goalkeeper and a key player. Adama is definitely a player to watch. Linus Adams, a defensive midfielder, centre-back or sweeper, recently decided to leave Enyimba FC for his former club Kaduna United FC. Adams struggled to get playing time for the Aba-based side, despite being a versatile, hard-working player with great heading and tackling ability. Adams is only 20 years old but has a lot of experience and Kaduna United FC is severly strenghtened by his return. The energetic Ali Adamu is one of the most interesting prospects at Kaduna United FC. The petit Adamu is skilful, hard-working and has a lot of pace. At the time of writing, Adamu has scored four goals during the Nigeria Professional Football League 2013. Yahaya Adamu is currently in top form. The 19-year old striker has scored four goals in five matches since joining Kwara United FC during the recent transfer-window. Adamu started the season as a fringe player at Sunshine Stars FC. Last season, Adamu made his debut for the Nigeria U-20 national football team after an impressive season for Rising Stars FC. However, Adamu’s six league goals could not save the club from relegation. The picture is of Adamu and was found on MTN Football. Ahmed Agbogunleri is an interesting player at high-flying Remo Stars FC. The playmaker is an set-piece expert known for dangerous free-kicks, corners and penalties, as well as long-range shooting. Agboguleri is also an creative player with the ability to turn a match around with clever passing and smart movement. According to http://www.allnigeriasoccer.com, Agbogunleri was 18 years old in March 2013. At the time of writing, he has scored seven goals during the Nigeria National League 2012-2013.